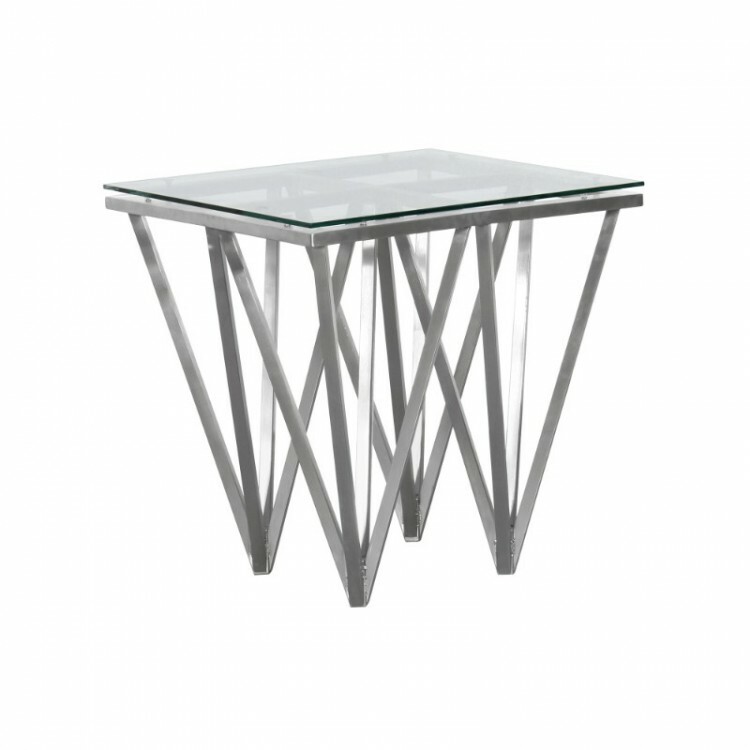 The Armen Living Cascade contemporary end table is a stylish addition to the modern household. 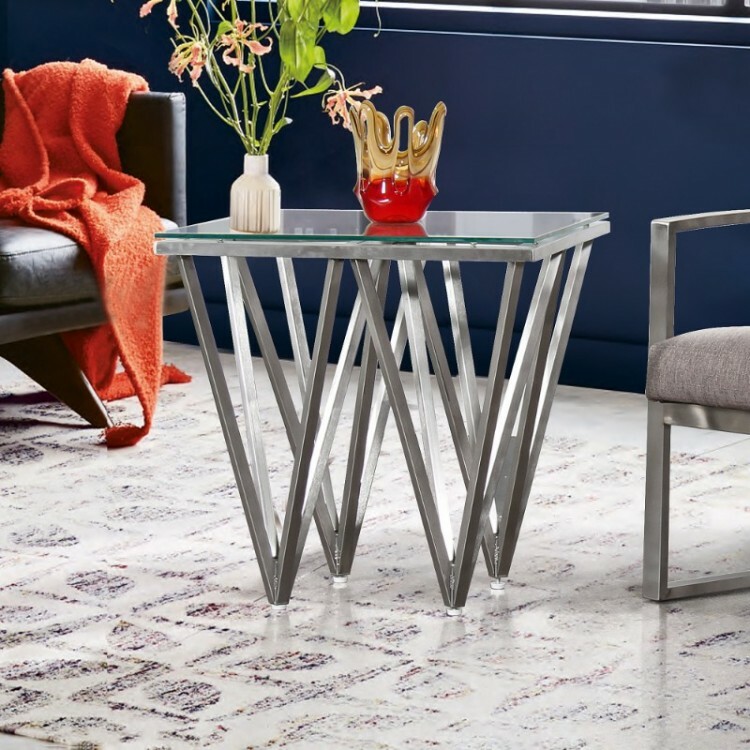 This beautiful square end table features a sturdy brushed stainless steel design that assures durability without compromising on style. 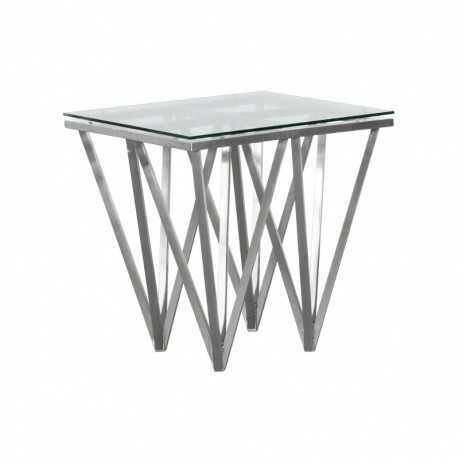 Sporting a durable tempered glass top and added floor protectors to prevent scratching, the Cascade end table is a terrific choice. Ideal for the living room, but versatile enough for just about any room of the house, the Cascade is a must have.